It’s time to put away the hearts and bring on the rainbows, gold, and leprechauns. 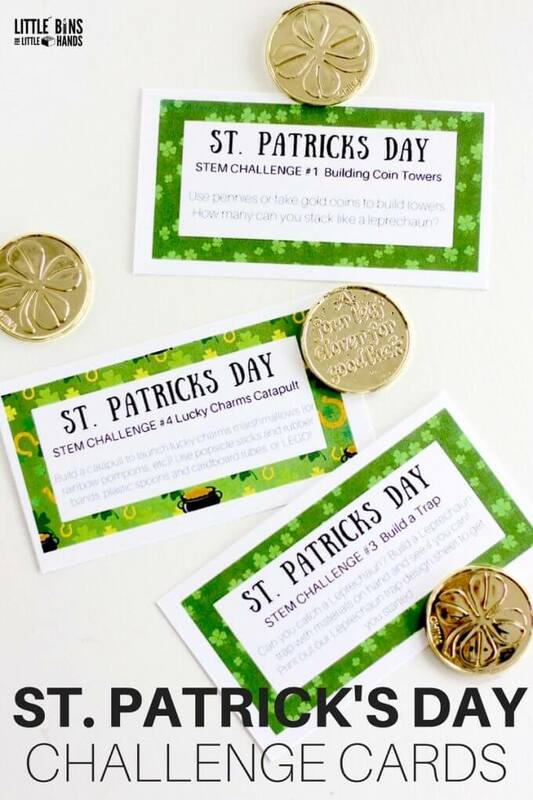 We can’t wait to move on to celebrating St. Patrick’s Day with awesome science and STEM! My son’s obsession is to catch a leprechaun. They did leave him gold coins in his leprechaun trap last year. So of course, we must have a full round of St Patrick’s Day science activities to take advantage of this fun day. When I think of St. Patrick’s Day so many different symbols come to mind. We think of rainbows, shamrocks, gold coins, leprechauns, and everything green! We have put together a huge list of all of these awesome things from slimes to eruptions to leprechaun traps and candy science. MAKE SURE TO SAVE OUR 17 DAY COUNTDOWN TO ST PATRICK’S DAY! Plus we have a fun St. Patrick’s Day parade just a couple towns over, so it’s a pretty important day here complete with a road race. Watch a video of our newest St Patrick’s Day slime being made right before you! Homemade slime is awesome chemistry for kids. 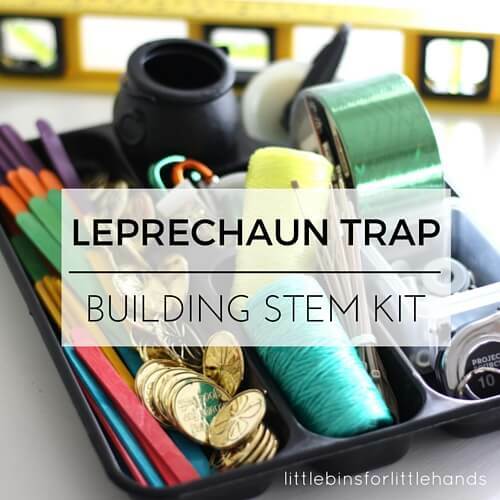 One of our favorite things to do for St. Patrick’s Day is to build a leprechaun trap. Just in case they really are real! 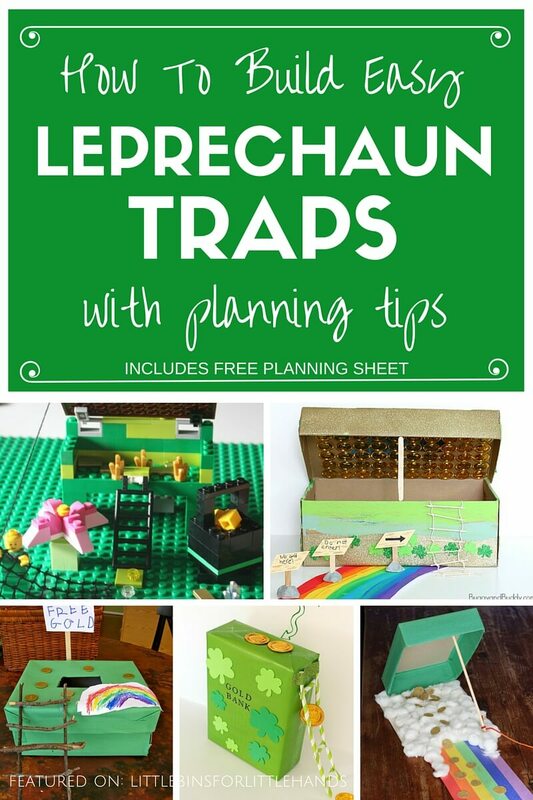 This post also includes a printable design and planning sheet plus tons of ideas for creating your own leprechaun traps. 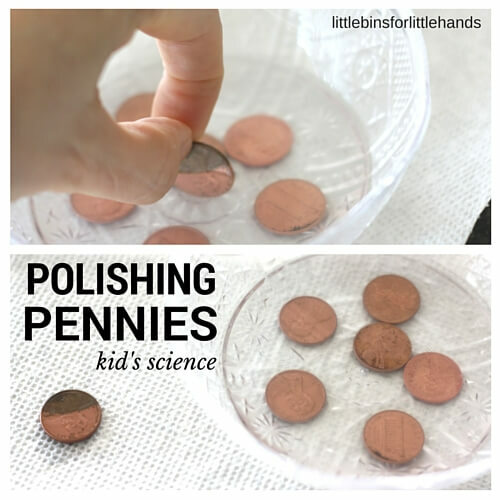 A classic STEM activity for this holiday! 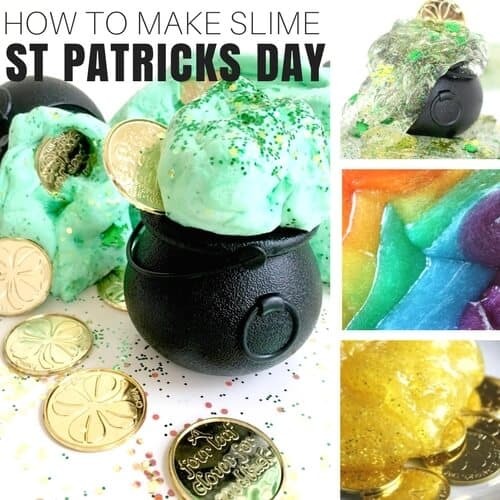 ST PATRICK’S DAY FAVORITE SLIME RECIPES! Around here, no holiday or special occasion is complete without a few themed slimes to try out. We have 4 super simple, basic homemade slime recipes that can’t be beat. whether you are making a shamrock green slime or gold slime or super fluffy slime or rainbow slime! We know our slimes! 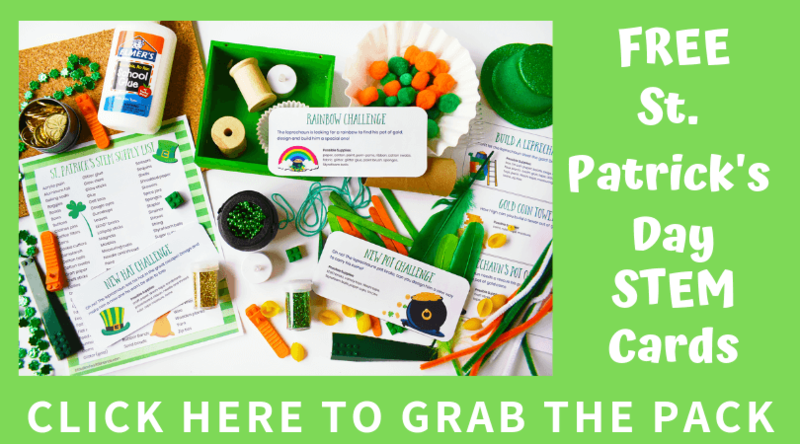 First, you can start by printing out these unique St. Patrick’s Day challenge cards that include all sorts of great science and STEM inspired projects, activities, and experiments. You could place each one in a small black leprechaun’s pot! This is also a great idea for the older kids who need less supervision or assistance but like to have an idea to get started with instead. If you ant even more rainbow science activities, scroll to the very end of this page! 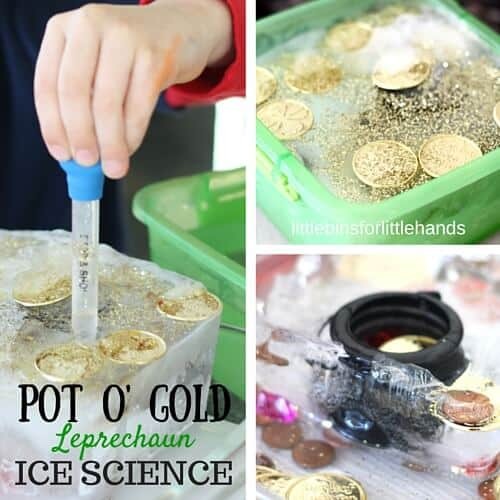 A simple St Patricks Day science activity for exploring ice melting with a fun theme. A tinker kit is a fun way to set up an invitation to invent, engineer, and create for kids. We really enjoy making themed tinker kits for each holiday and season. This one is perfect for the busy leprechaun. Make sure to look ahead to our Easter kit! Learn how to grow these easy crystal around pipe cleaner shapes. Check out the rainbow version here! We love the classic science of baking soda an vinegar reactions. They can be easily made to go with any theme or holiday! 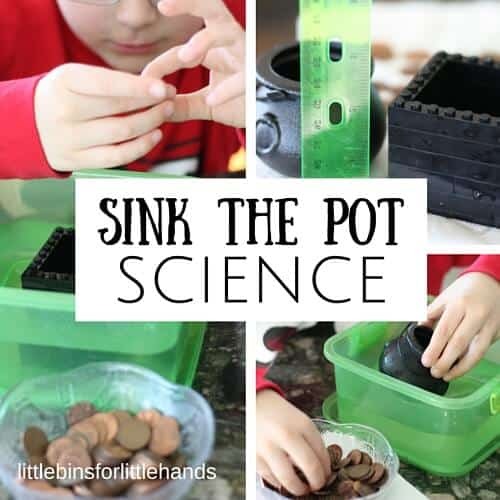 SINK THE POT STEM CHALLENGE! Will the greedy leprechaun sink his own pot with too much “gold. Also take on the challenge to build your own pot! 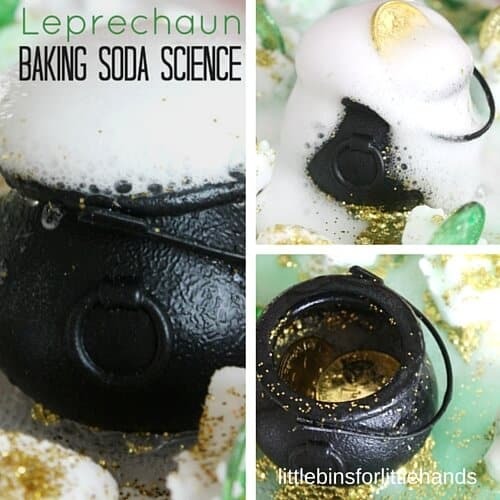 Help the leprechaun polish his gold and learn about copper science too! ST PATRICKS DAY DISCOVERY BOTTLES! 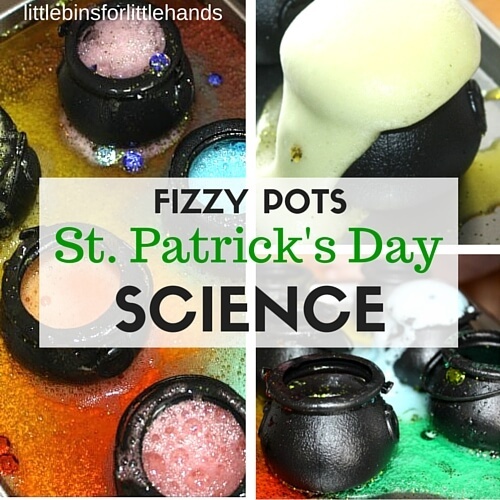 Rainbows, pots of gold, and a cool chemical reaction all rolled into fizzy pots for St Patricks Day science! Leprechauns love skittles! 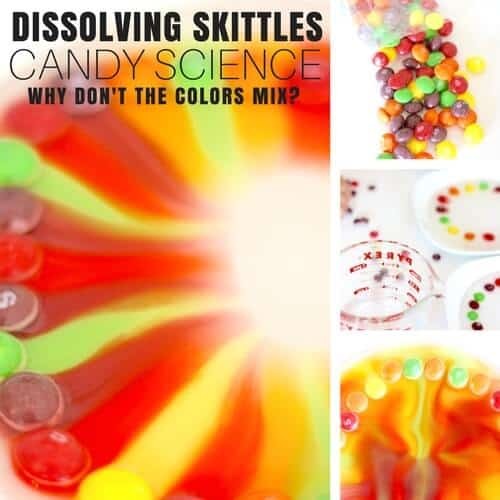 Explore the rainbow with an easy candy dissolving science activity that explore stratification too! 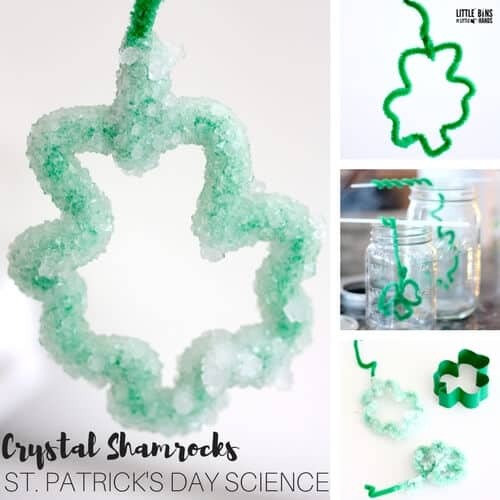 ENJOY FUN ST PATRICK’S DAY SCIENCE THIS SEASON! 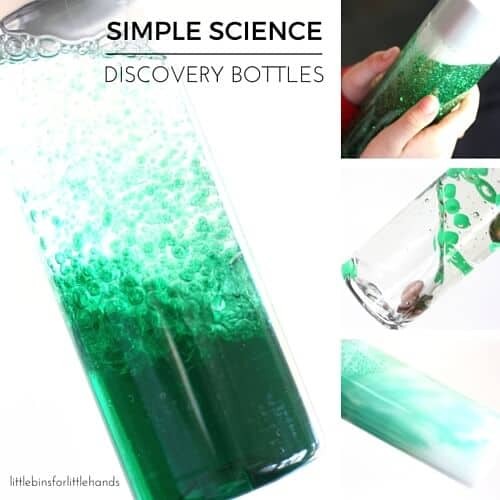 We hope yo have found a few fun new St Patrick’s Day science experiments to try with your kids! Make sure to check back as we are always adding something new!